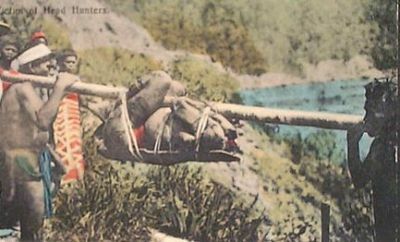 For almost four centuries since the 1500s when Spain occupied the Philippines, in spite of superior weapons of war, the Spaniards were unable to completely subjugate these mountain people. This Spanish failure of conquest resulted in Spain’s failure to control the famed Central Cordillera’s rich natural resources, including the famed Igorot gold and silver and the mountains’ natural beauty and cool climate. Embarrassed at its failure to conquer the Igorots that make up a tiny portion of the Philippine population, the Spanish conquerors embarked on a campaign of words against the Igorots. 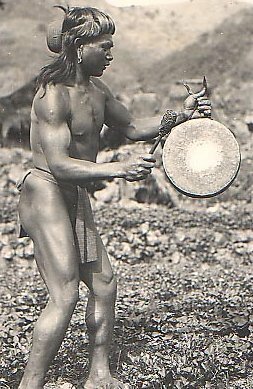 The Spaniards called the Igorots primitive, savage, headhunters, ugly, and a dunce curious about many things, stubbornly resistant, defiant without manners and incapable of domestication similar to the lowest kind of animal. 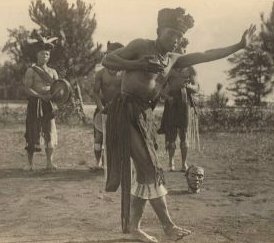 When a troupe of Igorots were displayed at the 1887 Exposition of the Philippine Islands in Madrid's Zoological Gardens, the event infuriated the Filipino hero of independence, Dr. José Rizal, who resented the portrayal of Filipinos in this manner. American proponents to colonialism also saw the propaganda potential in the misunderstood cultures of Philippine minorities, a factor the stateside conservative element capitalized on in the same manner the Spanish had. 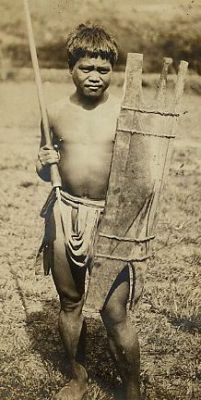 In 1908 it was seen necessary to decree that no tribal people could be exhibited publicly without Legislative approval. My intention to expound on social awareness for the word “Igorot” of its negative and downgrading profiling stems not only from my relationship with the Igorots, but because in my friendship with these indigenous brothers and sisters of the Philippine Cordilleras – the Ifugaos, the Benguet people, the Kalingas, the Abrans/Tinguians, the Apayaos, and other indigenous people - as well as lowland immigrants to that mountain range. I want to emphasize with greater awareness the word “Igorot” from its connotative negative implications, so that when you are mistaken for an Igorot, it will not be an insult, not taken as a derogatory remark. I want to project a better image of the term Igorot so that when you are mistakenly called an Igorot you can channel the negativity, but to just smile it off as you would, have you been mistakenly called a Chinese, Japanese, an Indonesian or Malay. With emphasis the word Igorot with its lingering negative implications by a non-Igorots when bestowed the name Igorot, would consider it an honor as I would feel honored if I were to be referred to as a Kalinga, an Ifugao, an Abran/Tinguian, an Apayao or other names of indigenous communities in the Philippine Cordillera mountain range. Since the conquest of Luzon by the Spaniards, the non-Christian tribes of the Cordillera Mountain range of Northern Luzon were associated with the name “Igolot”, “ygollote”, or “Igorot” by the outside world (including Philippine Lowlanders). 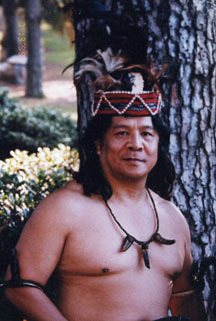 The term “Igorot” or its earlier variants means mountain dweller. Most likely, the name became handy in anthropological, cultural and/or geography studies as well as for purposes of missionary, military, political and/or civil service administration. It is true, many of the indigenous forefathers, perhaps even to this day, never heard of the name Igorot. Nor they ever experienced being called Igorots. But unknown to them, books, reports, studies, movies, other print, motion and broadcast media, were being made referring to all of the tribal communities of the Philippine Cordilleras as Igorots. 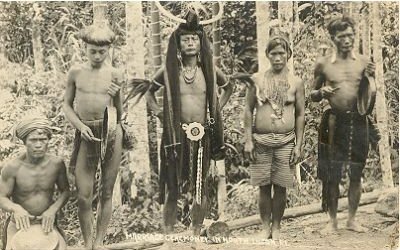 The Ifugaos were called Igorots by the Spaniards from the time they first fought their way into Kiangan in the 1750’s till the great student of their religion and customs, Father Juan Villaverde, died in 1897; and as late as 1907, they were called not only Igorots but “true Igorots” by no less an authority than the late Dr. H. Otley Beyer, who married one of them and was buried with full honors of traditional Ifugao custom in 1966. The movie entitled “The Flight of the Sparrow, the settings of which were mostly in Ifugao. This movie projected an image of a people similar in cultural practices - g-stringed, half naked, rice terracing, gangsa-beating, rice wine drinking, and inhabitants of the Cordillera Mountain Range of Northern Luzon – which they generally referred to as Igorots. Happy mountain people, warrior like, nature loving, reverence and showing respect to others, such movie has been shown throughout the length and breadth of the Philippine Archipelago and even in foreign shores. When the Philippine Ambassador to the United Nations, Carlos P Romulo, wrote in his book “Mother America, A Living Story of Democracy” that Igorots were not Filipinos, he was referring to the indigenous, pagan and culturally backward tribes of the old Mountain Province. The old Mountain Province was composed of Bontoc, Ifugao, Benguet, Apayao, and Kalinga. School textbooks referred to inhabitants of the old Mountain Province as Igorots. The acronym BIBAK had always been associated to the old Mountain Province and the name Igorot. Thus, BIBAK students rose as a group to protest against Romulo’s statement that Igorots were not Filipinos. So while being called ourselves by the name of the village or designated province, the outside world (including lowland Philippines) have bestowed on all of us the word Igorot by the fact that we were all mountain dwellers sharing a common geography and having similar customs and traditions. 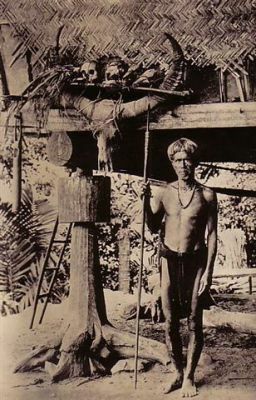 While the “Igorot” historical reference to all indigenous mountain people of Northern Luzon may have been a misnomer as illustrious Ifugaos and Kalingas would claim, historical accounts, text books, research papers and other print media as well as motion pictures on Igorot customs, traditions and culture may have been widely publicized to a point such that the mere mention or display of rice terraces, tribal dances, “wanes”, tapis, rice-wine drinking, beetle nut chewing and once-upon-a-time head hunting practices were more often than not immediately associated with the name Igorot. First, there are quite a number of Ifugaos, Kalingas, Apayaos, Abrans/Tinguians and other inhabitants of indigenous communities in the Philippine Cordilleras who do not mind being called Igorots and are even ready willing and able to defend their Igorot identity. The need to identify a bias census to particularly identify those who do not want to be called Igorots and those who do not mind being identified as Igorots. Second, countless Bontoc and Benguet Igorots have migrated to Ifugao, Kalinga, Apayao, and other parts of the Philippine Cordilleras and intermarried with the people therein. The same is true of many Kalingas, Ifugaos, Apayaos, and Abrans/Tinguians, other cultural minorities of the Philippine Cordilleras and Filipino lowlanders. They have migrated to other places and intermarried with Bontoc and Benguet Igorots. What then shall we call the offspring of such inter-ethnic marriages? Will you then opt to disown such offspring if they have Igorot blood? Some of these children, including unborn children, could be your very own flesh and blood. For nobody can really plan and dictate to what ethnic tribe his/her child or grandchild should not marry into. Thus, would it not be better to join the crusade equality and mutual respect to original ethnicity, making it much easier to accept children of mixed (Igorot and non-Igorot) parentage into your respective families? So, whether you like it or not, our peoples’ destinies are closely intertwined. 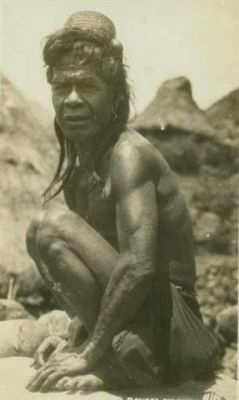 The success of togetherness initiated for the betterment of respective provinces or ethnic origins will be a significant factor in the quest for the overall progress of the descendants, relatives and friends of the rice-terracing, gangsa-beating, rice-wine-drinking, beetle-nut chewing, and once-upon-a-time head hunting tribal communities of Northern Luzon. Instead of citing the Igorots for their countless sons and daughters who sacrificed their lives in defense of Philippine Democracy – during World War II, the hukbalahap and Muslim insurgencies, not to mention the Korean and Vietnam wars – many of our Filipino countrymen, would rather over look that kind of sacrifice and instead picture the Igorots dwindling in the crowd as unclean dwellers. Instead of sympathizing with the Igorots whose mineral, timber, agricultural, and water resources have been exploited for the sake of national progress, not a few of our country men would rather overlook such contributions of Igorot patrimony to nation building and instead discriminate against the Igorots. Instead of projecting a better image of the Igorots to accelerate their integration into the mainstream of Philippine society, not a few Pilipino would rather alienate the Igorots by perpetuating derogatory stereotyping against them. Instead of standing by and defending their people, not a few Igorot sons and daughters have succumbed to the pressure of derogatory Igorot stereotyping and would rather discard their Igorot identity. It is sad to say, it is only from our Pilipino countrymen and in our very own indigenous tribal communities in Northern Luzon where discrimination against Igorots often times rear its ugly head and can easily proliferate and become disruptive to regional and national development efforts if left unchallenged. I am Igorot, I got one foot forward to the modern world and one foot backward to the old ways but I am now educated, I can speak two languages and four Philippine dialects, I am a warrior, I can read and write with my pen using any ability I possess in pursuit of justice for everyone in mutual respect and harmony …I am Igorot for life! Are you an Igorot? Come walk with me in the mud!